What will the naming scheme be for Apple’s next iPhone models? 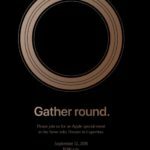 We should find out in 13 days, as Apple this morning officially announced their special event will take place on September 12, 2018. The company is rumoured to debut two OLED models with 6.5-inch and 5.8-inch displays, alongside a ‘more affordable’ 6.1-inch LCD model. This year’s upgrades are said to be an “S” year, suggesting an incremental update, instead of a complete overhaul, which would make sense, given what we’ve seen in the past. What about the naming scheme of Apple’s next iPhone models? According to recent Bloomberg report, Apple reportedly considered ‘iPhone Xs’ as an option. Now, it appears that may be the case (no pun intended), as smartphone accessory maker, Totallee, may have accidentally (or purposely) leaked names of the next iPhones on its website. The company’s website lists ‘iPhone XS Plus’ and ‘iPhone XS’ as options in their drop-down menu under iPhone cases for sale. 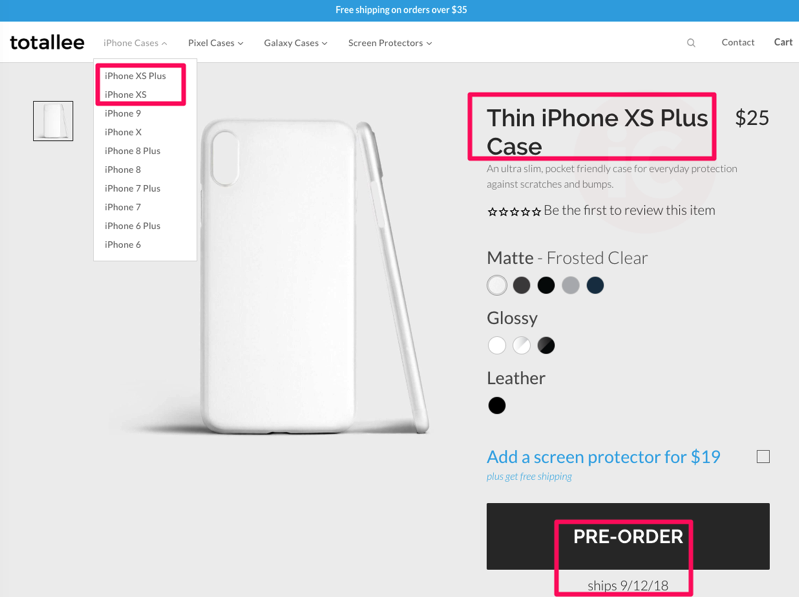 They are taking pre-orders for thin iPhone XS/XS Plus cases for $25, set to ship on September 12, 2018. Oh, there’s also ‘iPhone 9’ on the list as well. While there is no guarantee ‘iPhone XS’ and ‘iPhone XS Plus’ will be the official names of the next OLED iPhone models, this may be one clue it could be a possibility. We’ll find out soon enough.